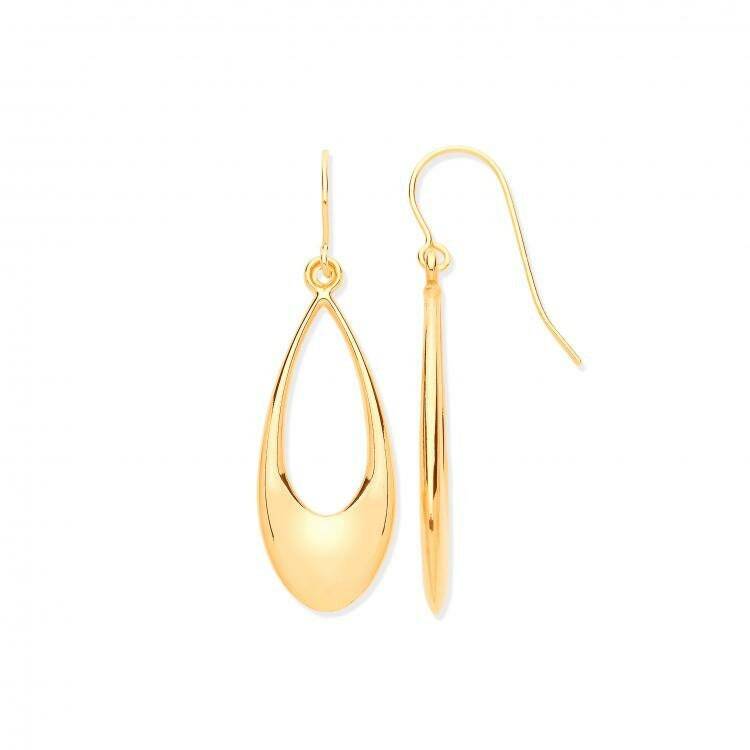 Pear shaped open tear drop earrings in polished yellow gold. Earring size 3.5cm D x 1.1cm W with hook fastening. Average gold weight per pair 1.6g hallmarked.